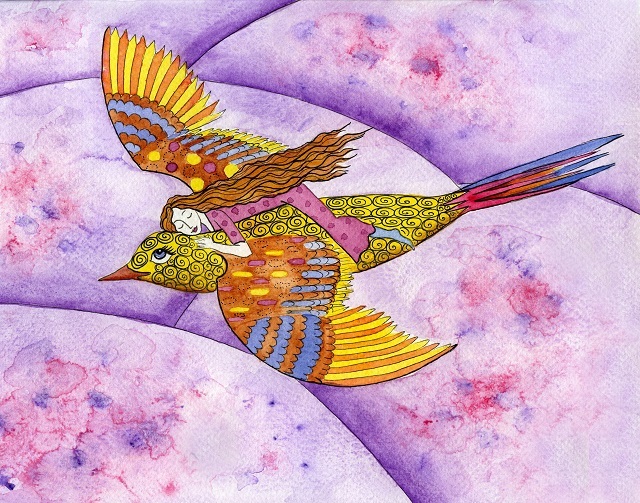 In art, and in my day-to-day life, I’m always drawn to vivid colours, nature and a touch of fairytale fantasy. So when I discovered Jessica Stride’s saturated paintings and multimedia creations I was instantly entranced. A lot of her works also feature books, as the one above does. 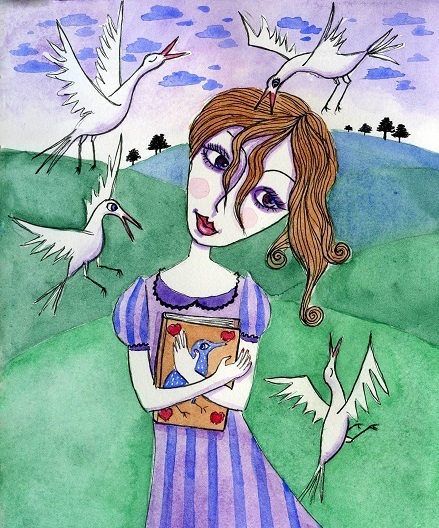 The presence of the books enhance the wistfulness of the pieces, and the sense that the figure shown is deep in a daydream (though possibly about to have her brains pecked out!). 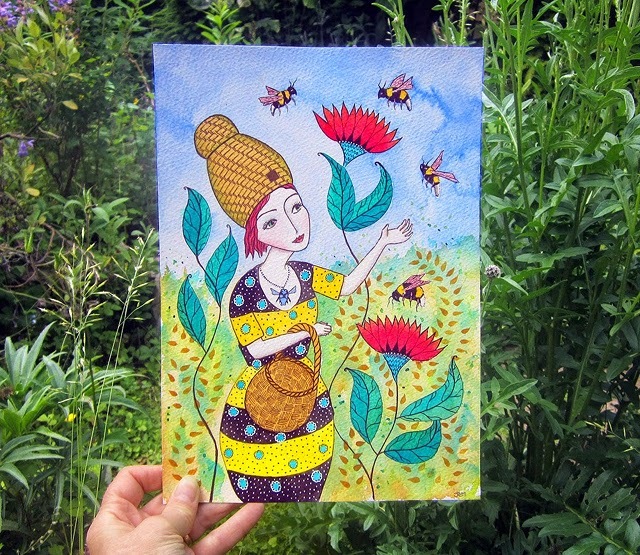 And of course I can’t help loving this new, bee-infused painting, ‘Beatrice and Her Bees’, now available from Jessica’s Etsy shop. 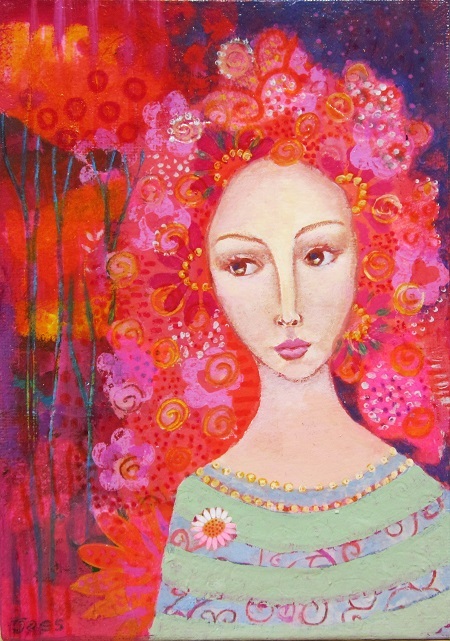 You can see more of Jessica’s work at www.facebook.com/Jessicastridepainting, and discover her process at jessielilac.blogspot.co.uk. Much of her work is available to buy here: www.etsy.com/uk/shop/JessieLilac.